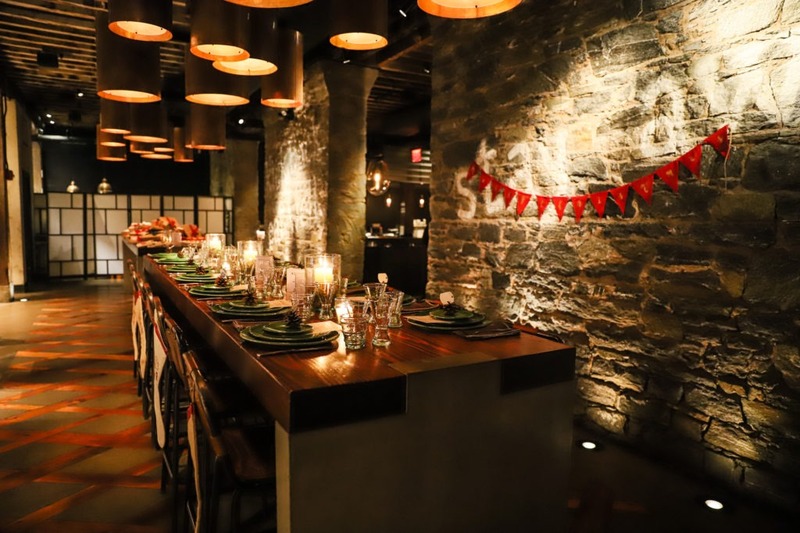 Last week I had the pleasure of attending a very special and intimate Holiday Soiree dinner with Momtrends. 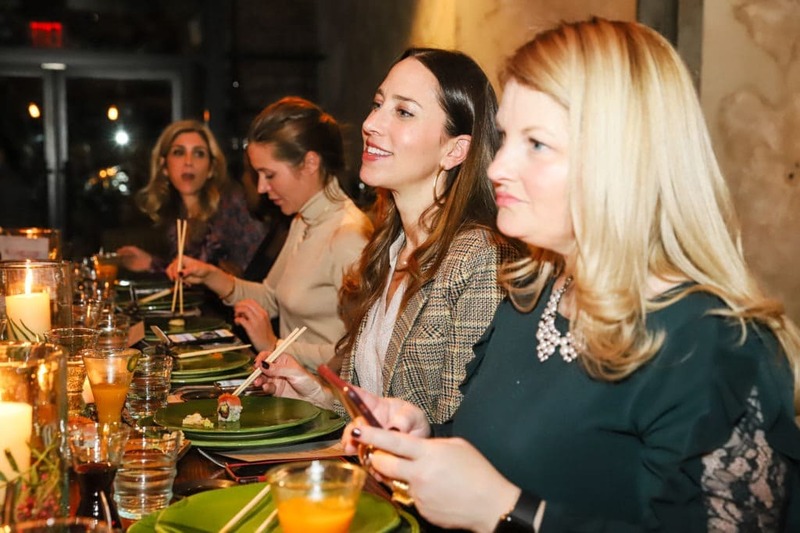 A group of lovely influencers gathered at the Sugar Cane Raw Bar Grill in DUMBO, Brooklyn and we all had many “Merry Merry” moments! 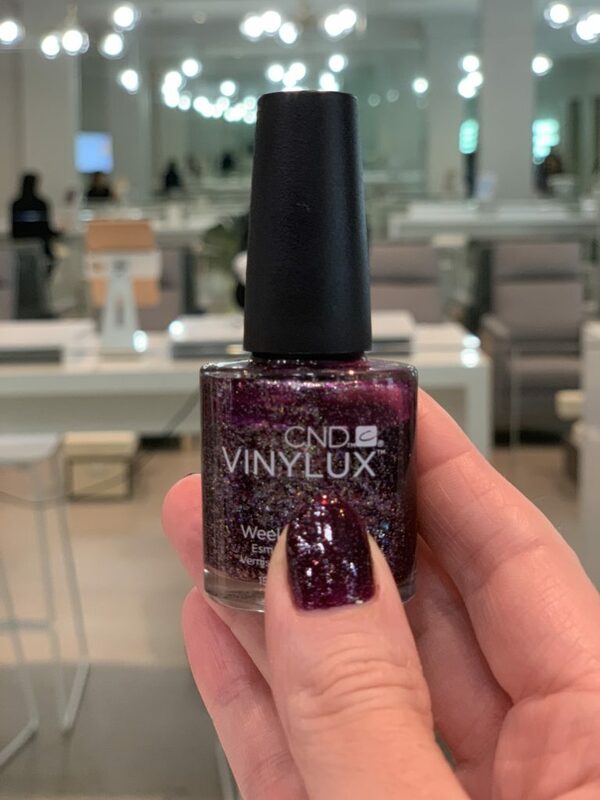 Before the fun began, I spent the day getting ready and was treated to a much needed manicure at Gloss Lab. This was my first experience at this particular nail salon and I’m already looking forward to my next visit. The salon was super clean and very sleek. This was my first time feeling so pampered at a nail salon and I loved everything about it. They even had individual iPads at each station in lieu of outdated tattered magazines. I was able to swipe through my favorite celeb sightings and catch the best and worst looks of the week! I opted for a sparkly deep red and I’m proud to say it’s still going strong! Next up was a blow out. I will admit, aside from getting a blow out after a hair cut, this was my first official one. 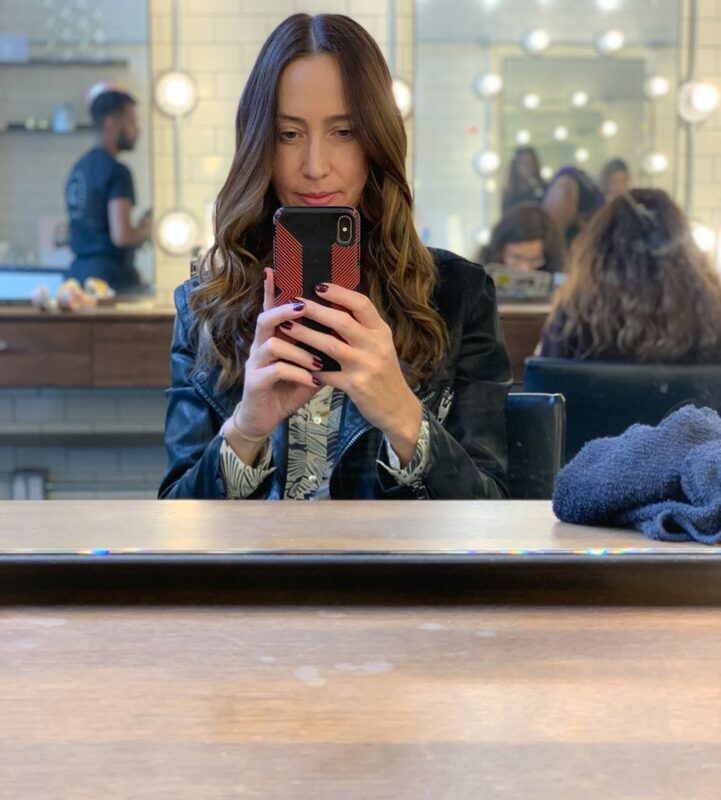 I visited Glam & Go locate in TriBeCa and was given an amazing blowout in less than 1/2 hour. They can do so many different hairstyles and even have some great specials currently available. They have an unlimited monthly package for $175. Yes, Please! 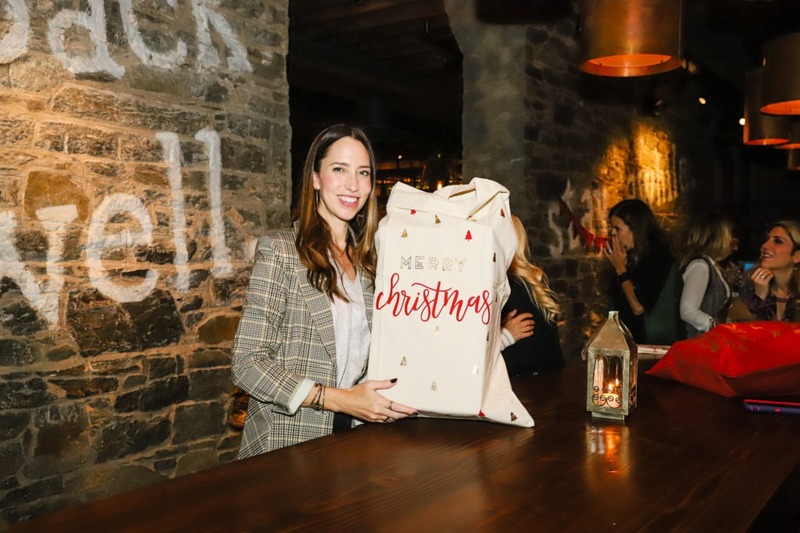 Upon arriving in DUMBO, Brooklyn I was greeted by a signature cocktail at Sugar Cane Raw Bar Grill and a beautiful display of so many PRESENTS! 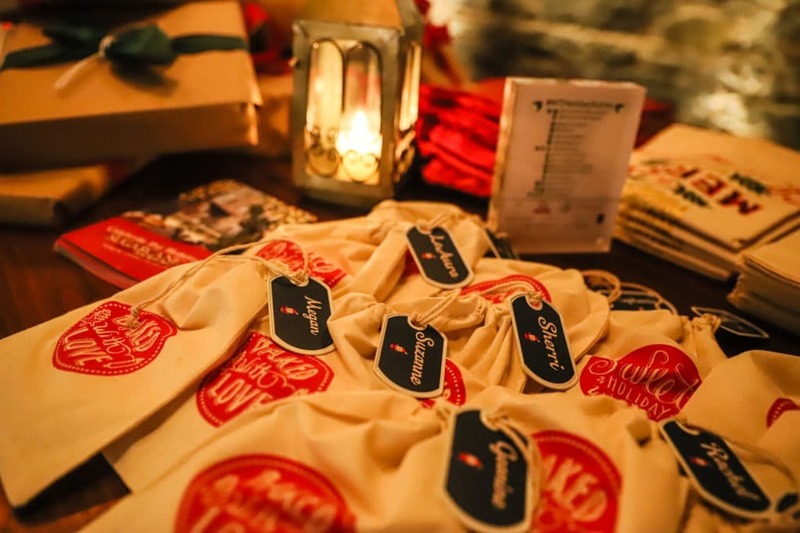 Each gift was personalized with a Mabels Label name tag which really added a special touch to the gift wrap. As more people arrived we spent our time catching up and beaming over each others outfits, jewelry, hair and nails! 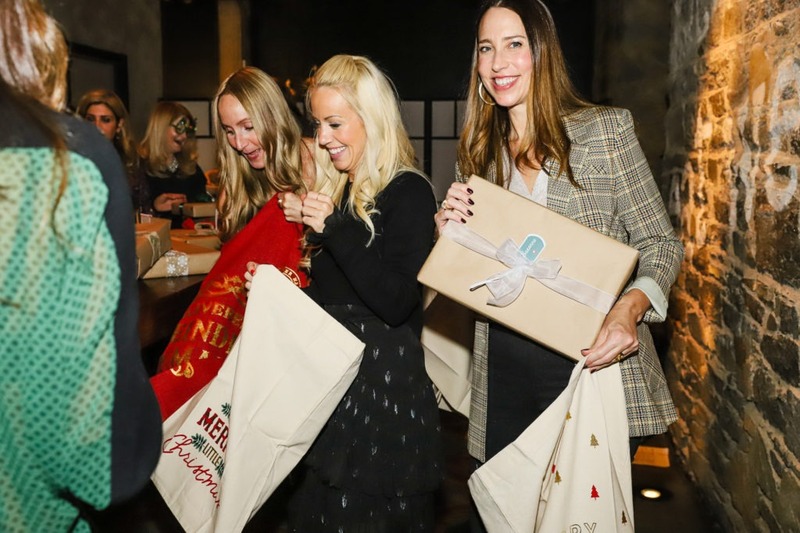 Cabi clothing was kind enough to gift each influencer with a piece of clothing and Marcia Moran also gifted us with a piece of jewelry. 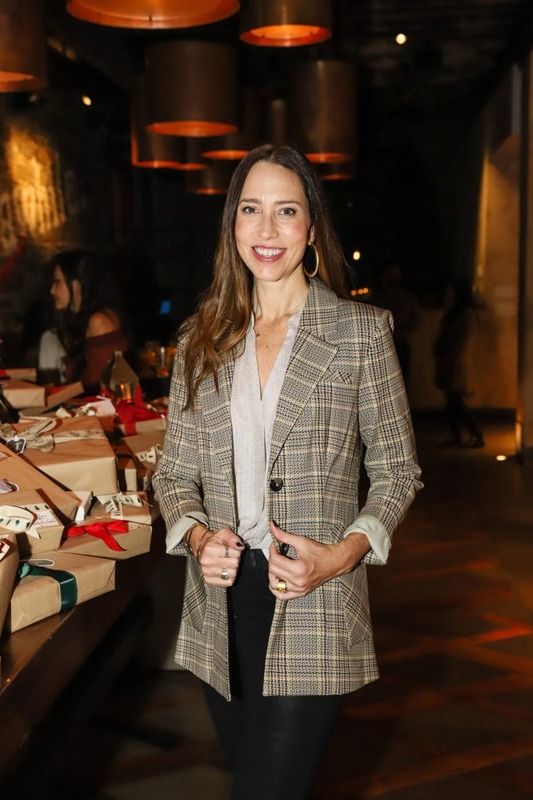 I selected a fun and versatile blazer from Cabi and loved how it’s somewhat stretchy which makes it super comfortable and easy to wear. I can dress it up or down and just love it! I paired it with some black pants and a shimmery shirt for the holiday party. 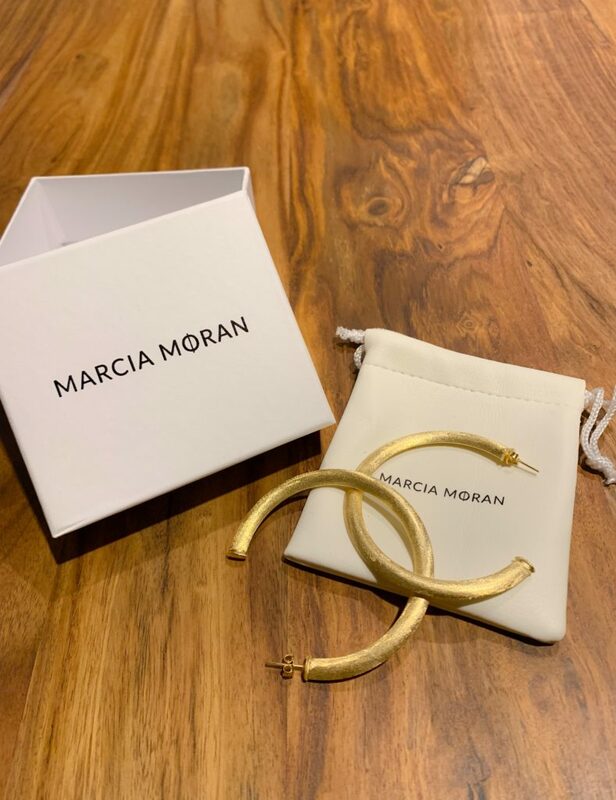 I’ve been a fan of Marcia Moran since I discovered this brand at a Mother’s Day event earlier in the year. I wear the earrings almost daily so I was thrilled to receive another pair. The brushed gold happens to go with just about everything and my favorite part is how light weight the designs are. I’m in love with my new classic hoops and have been wearing them with everything! 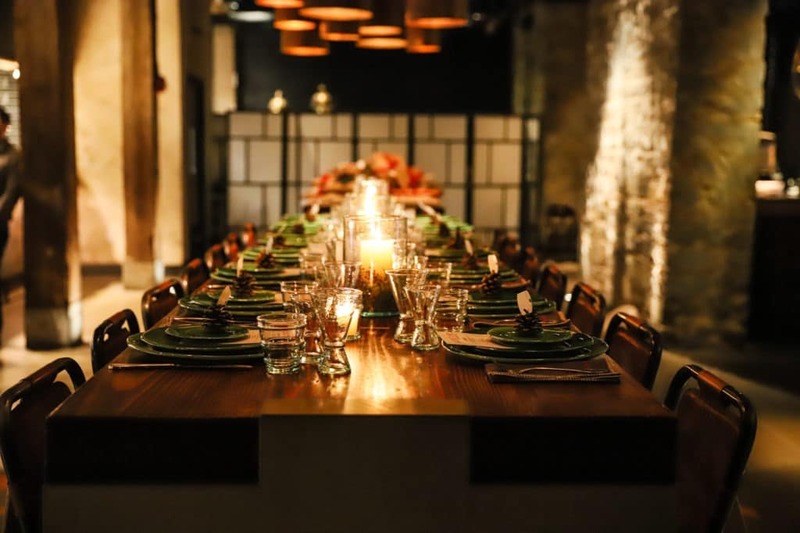 Once we sat down for dinner I couldn’t take my eyes off the stunning table setting. 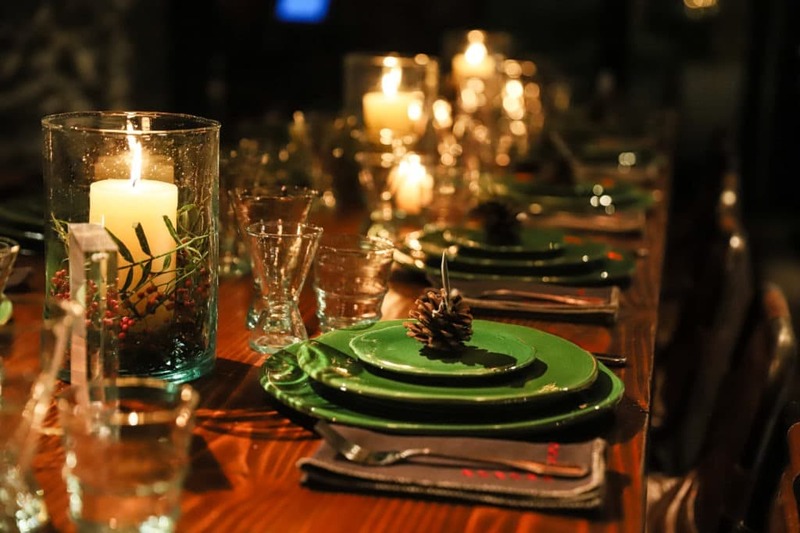 The beautiful holiday decor and tableware from Tighemi really made a statement and was just beautiful. 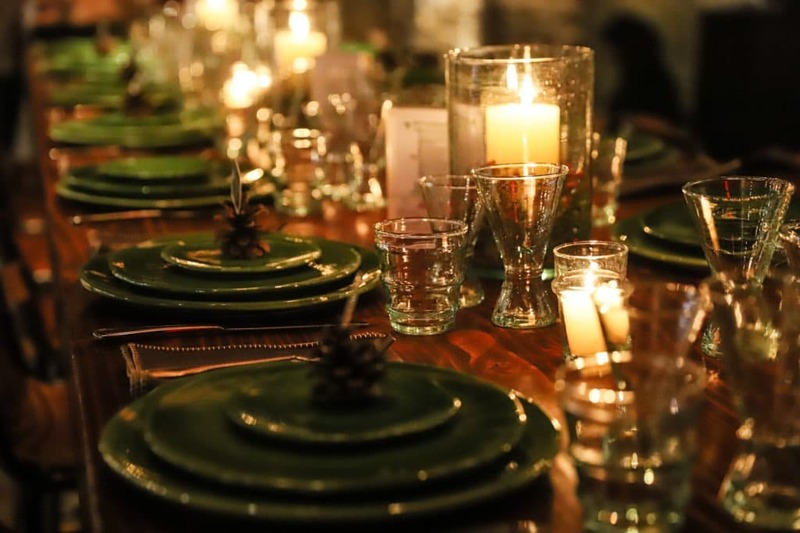 The glassware was equally pretty and the green plates completed the festive vibe. This Moroccan inspired company always gets it right! 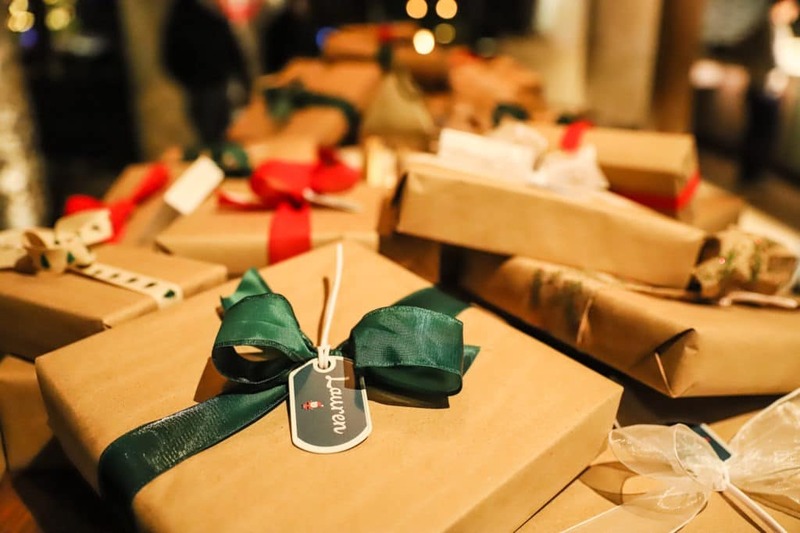 After we dined on the delicious food, enjoyed some adult conversation and discussed Holiday plans, it was time to fill our Santa bags with some presents. 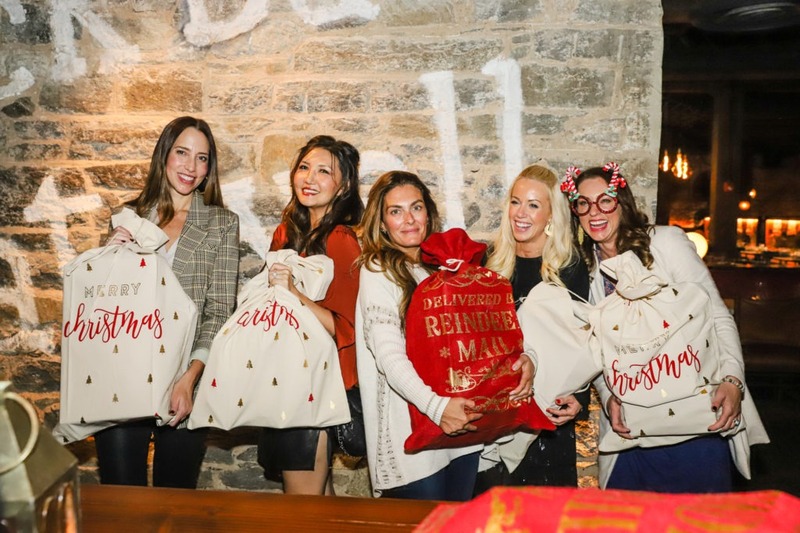 EO Creative Works creates some of the most amazing and contemporary looking bags for all occasions and would really make the perfect holiday gift for anyone. They come in all sizes and can make anything look so cute and special! 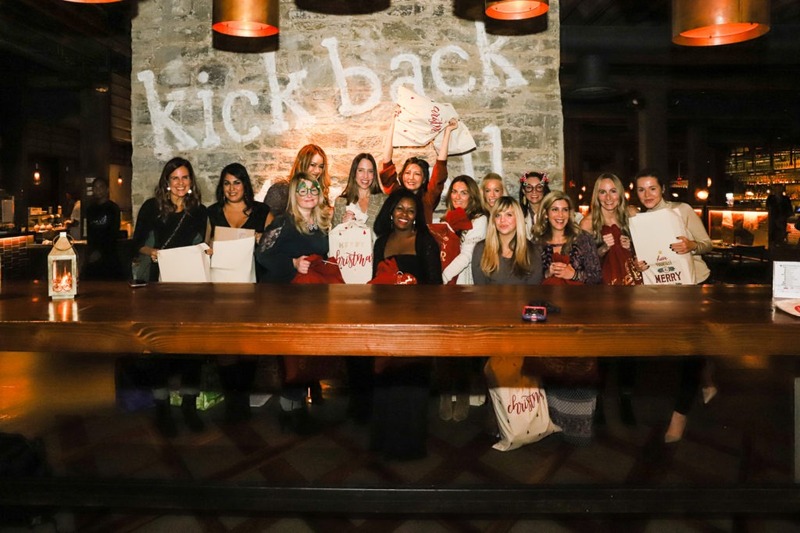 Thank you so much to all the brands and Momtrends especially, who hosted us to an unforgettable Holiday Soiree. I feel so showered with holiday cheer and look forward to sharing all these terrific brands with my readers. For the hard to shop for person, family members, and anyone in between Tigemi, Mabels Labels, Cabi, EO Creative Works and Marcia Moran has you covered!